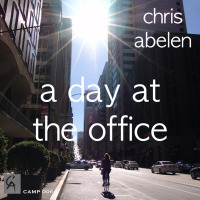 Jazz news: Trombonist Chris Abelen Releases "A Day At The Office"
Trombonist Chris Abelen doesn’t think (or talk) like other composer bandleaders—the kind who work to further their careers. He lives just outside Amsterdam, and is plugged into the scene there, but he isn’t one for hanging in the Bimhuis café till all hours, or mounting bands to play international summer festivals. He has a disarming habit of describing his process as chaotic, or plain nuts: When I put this bassist and drummer together, each wrongly assumed the other would keep time. Or he’d tell you how uncomfortable someone was playing in his band. When he put out the archival live recording Proost, he was careful to mention how little the original audience had cared for it. For example. And yet the music always comes out right. 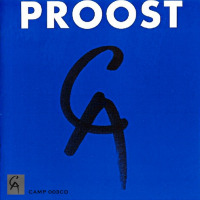 That musician who felt uncomfortable sounded great in his band, and Proost is one of the overlooked modern Dutch gems. 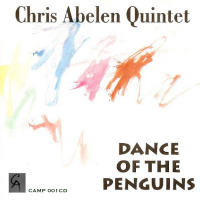 Proost for tentet, Dance of the Penguins and What a Romance for his headbutting quintet, Space for quintet, strings and Ab Baars—there isn’t a dud in Abelen’s discography. But he can also keep you waiting far too long for his next project, such as this one, a radical departure from those loosey-goosey recordings. As Chris Abelen tells it, it’s the usual cockup. This instrumental music began as a vocal project with an almost entirely different band. “My friend Bastiaan Geleijnse and I—he’s one of the writers of the political cartoon Fokke & Sukke—had been talking for years about writing an opera, but decided to start with something more manageable.” So Bastiaan came up with a story about office work in an age of efficiency experts. “A day at the office was first intended as an album with both sung and instrumental tracks, but I wrote too many pieces and we finished only two songs. Since we needed more time to work on those, I decided to make this instrumental-overture album to a program which might never be realized. I don’t know whether to treat this album as a stand-alone production or not, but we are working on that vocal album, with lyrics in English. The first band included his peers; the new one is mostly Dutch and German players a generation or so younger than the leader. In his old quintet (with Tobias Delius, Corrie van Binsbergen, Wilbert de Joode and Charles Huffstadt), the foundation could be fluid; the forms had room to stretch and snap back. 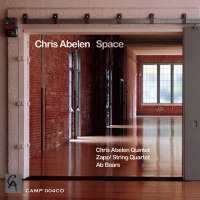 To change up, Abelen makes this septet all about a certain kind of precision: the music is tight and superbly balanced. 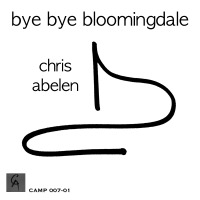 Abelen suggests one point of reference with the title “Remembering Willem B,” where Chris plays a valedictory solo for his old friend. As a fledgling in the ’80s, Chris had played trombone in the Breuker Kollektief, and later worked as Willem’s digital copyist, readying parts for that more-or-less 10-piece band, which had its own on-the-grid precision, and musicians who kept busy in foreground or background roles. “Willem and I we got along very well, and we were an unbeatable duo when it came to complaining about the world, and music in particular. And I agree, there are some similarities with his music, in terms of being tight and on the grid. On the other hand, Willem didn’t like to write ‘song’-like compositions at all. As influences go, I always liked the Zeeland Suite of Leo Cuypers—‘hey, it’s allowed to write a singable melody!’—and the music of Paul Termos and Guus Janssen more than Willem’s music.” Plus, Breuker had a compulsion to fill all the space on the sheet music, so no player was ever idle. Chris Abelen lets the music (and musicians) breathe more than that. Abelen does have a gift for melody—hear that soprano saxophone line on “It’s Time,” say, or even its bass line. Or the slightly arch and beboppy melody “GDP.” Or “Back to Work” with its echolalic call-and-response. (That one has the kind of sturdy architecture one associates with Breuker.) Or the lovely horn chorales that break out all over. 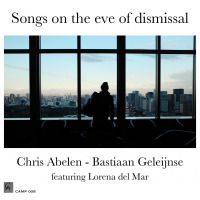 “Not Love” starts out like Abelen’s Big Ballad—his James Bond theme—until bass clarinet sends it somewhere else, and then the original theme comes back in different guise, Abelen showing that thrifty Dutch composer’s way of parceling out materials. The whole program bristles with bustle: every office should work so smoothly. In that pop vein, tunes are short and tightly constructed, but plentiful improvised solos are part of the job’s benefit package. The band’s best known player and relative elder, trumpeter Angelo Verploegen, like Abelen came up in the ’80s and made his name in the ’90s, as member of the hardbopping Houdini’s. Verploegen gets a few fine solos but his unofficial concerto is “The hall,” which shows off his virtues: chops, lyricism, beautiful tone, the way he leaves space in a line, and the bluesy inflection you don’t hear coming. Angelo and Chris had played together once years ago, at a festival in Morocco. The other players came to the leader a little closer to home. The youngest player here is head-turning rock guitarist Thijs Huibens. “I knew him as a friend of my son Willem, who plays saxophones,” Abelen says. “They met in high school and play in some little bands, workshopping standards or playing heavy rock. I liked the way he played mostly by ear, and not via extensive studies of the Holy Chord Changes. Guitarists who only play notes or get a standard jazz-guitar sound bore me—they won’t explore tone the way a singer or horn player will. At first Thijs had some problems with all these notated parts, but he put in a lot of work, figuring out all this music in sometimes really unfriendly guitar keys.” “Delay” is his mini-concerto, an essay in mutable guitar timbres. I love those strummed mid-bar accents on “More circus” too. There is some tight interactive playing here for sure—the improvised counterpoint on “More circus,” notably. With everyone attentive to good intonation, that penchant for precision really pays off, as in the rising, falling and converging lines on “Huub.” (Some good low bass clarinet on that one, too.) As mentioned, this project began with office workers, and any Dutch- scene insider might correctly guess the tune’s named for the Bimhuis’s tireless director Huub van Riel, who can navigate through myriad distractions much the way the trombone melody does. The last thing to mention about A day at the office is how it was put together, more like a pop than a jazz record, in layers. Chris Abelen recorded it mostly at his home studio, one instrument at a time. That decision was partly quixotic (it allows for “music minus one” play-along versions), partly economic (“If I had to pay for the time spent mixing and editing this album I could have bought a small car”), and partly practicality, convenience, and psychology. “In a studio there is always a kind of pressure to play a solo in one or two takes—and to tell everyone you only needed one. Needing more is regarded as amateuristic. But if we had to record more takes to get a satisfying solo, no problem.” Everyone can relax and focus, and be ready for their moment. The proof’s in the final report. The players don’t sound like they’re watching the clock, waiting for work to be over. They sound psyched, rested and ready. 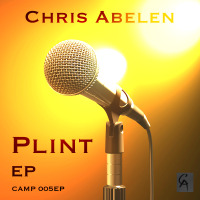 Putting this music together, Chris Abelen struck a blow for worker comfort, efficiency, and effective time management. Branford Marsalis Quartet To Reissue "Coltrane's A Love Supreme: Live In Amsterdam"